It’s been 8 days of traveling – 8 days, 4 cities, 7 plane rides. I can’t begin to tell you how nice it feels to be home again knowing I won’t be traveling for another week again. I’m back in my happy spot, making treats and planning new recipes. For some strange reason (though I’ve been traveling in East Europe in December which means it’s cold cold cold!) 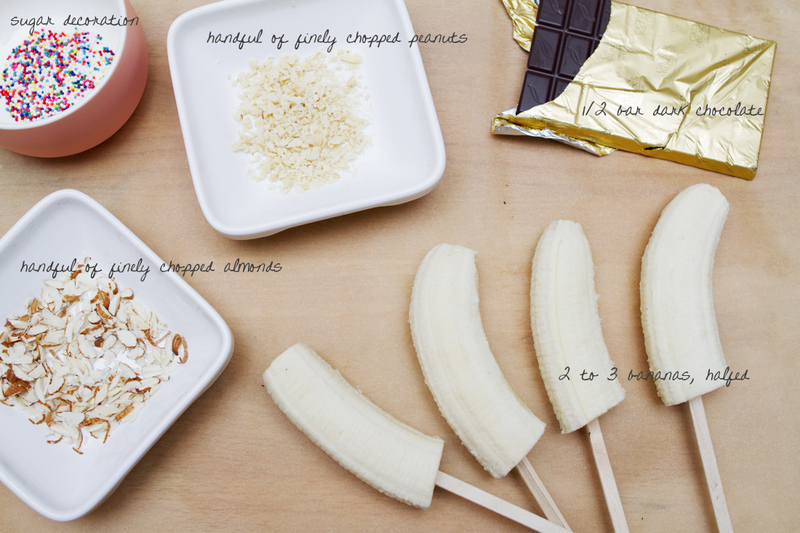 I have been craving ice-cream, so tonight it’s time to make some iced banana popsicles. 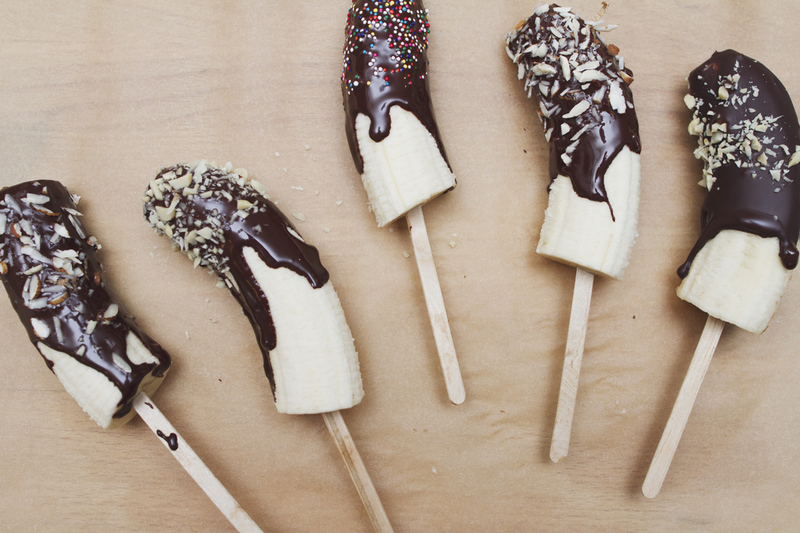 I’m actually just enjoying one while I’m writing this post, even sharing some of it (only the banana piece of course!) with our little puppy Macchiato. – any other sweet decoration you wish to use! 4. 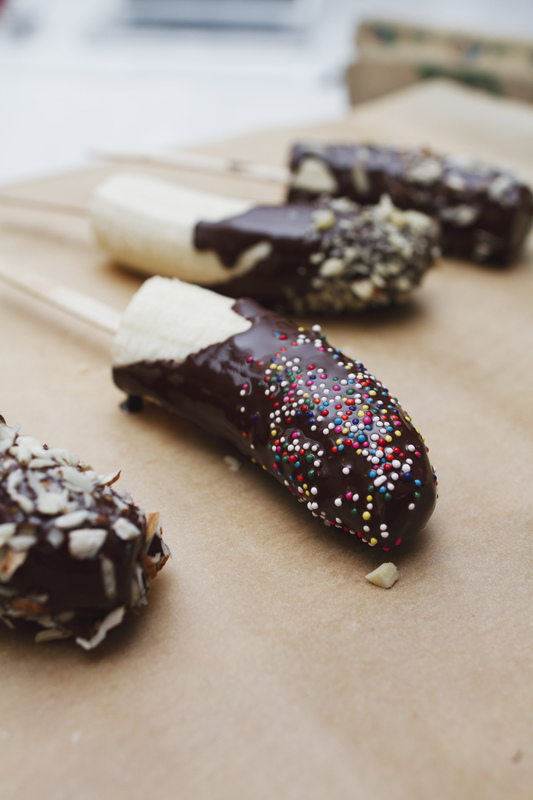 Dunk the banana halves in the melted chocolate and swirl around a bit. 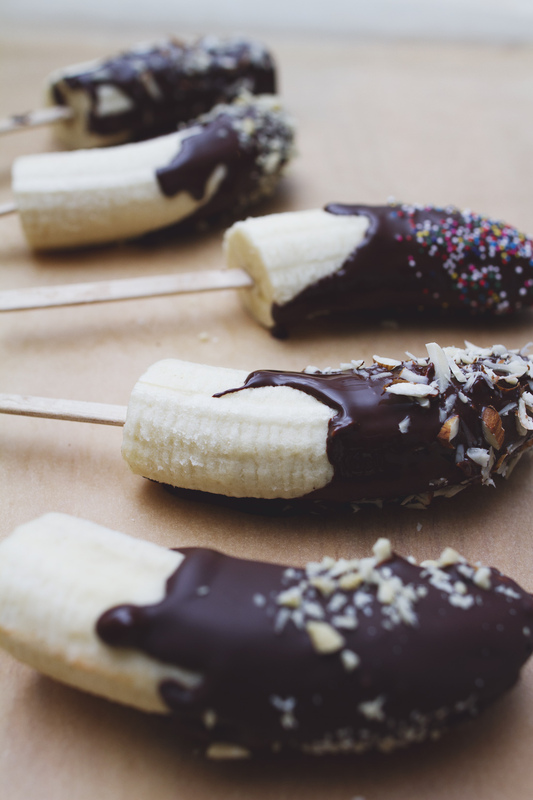 As the banana is half frozen, the chocolate will dry really quickly. So try to be fast if you can. 5. Sprinkle chopped nuts or other decoration over and then put on parchment paper to dry. 6. Let dry for about 1/2 hour, then put into the freezer and they’re ready to eat after about 1 hour! Posted in Little TreatsTagged banana popsicle, bananas, chocolate, chocolate covered fruit, dessert, dessert recipe, desserts, eat well, eat well be well, good food, healthy desserts, healthy eating, healthy living, healthy treat, icecream, popsicle, sugar dust, sugar love, summer treat, sweet tooth, sweet treatBookmark the permalink.